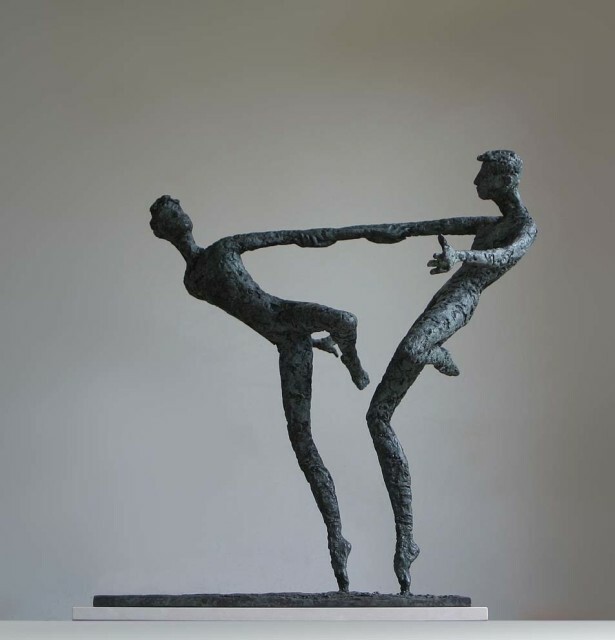 Born in 1948, Bob Quinn enjoyed a long career within the Irish advertising business as a commercial artist, visualiser and designer before becoming a full-time sculptor in 2002. Bob's sculptures celebrate the drama and nobility in often the most ordinary of human activity. The sadness, the humour, the joy. He likes to explore the theatrical quality of three-dimension and is particularly interested in the dramatic importance of light and shadow, and how the colour and appearance of surface texture constantly changes. He enjoys the laborious bronze process, working from preparatory drawings to creating the clay original, finally reaching the bronze casting stage where the texture, patina and the permanence of the final sculpture is created.